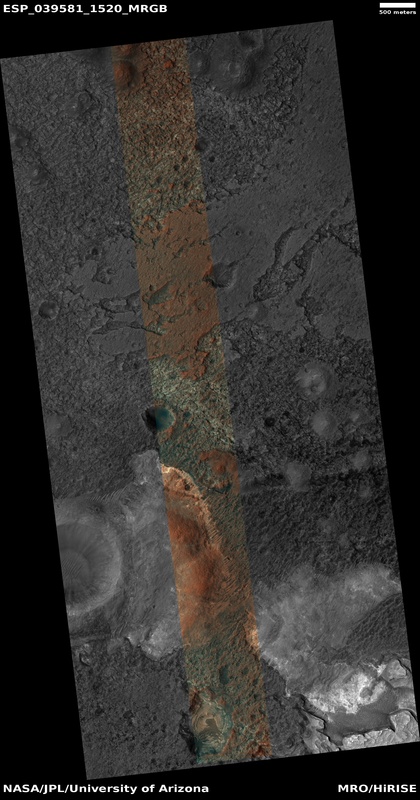 The target of this observation is a circular depression in a dark-toned unit associated with a field of cones to the northeast. 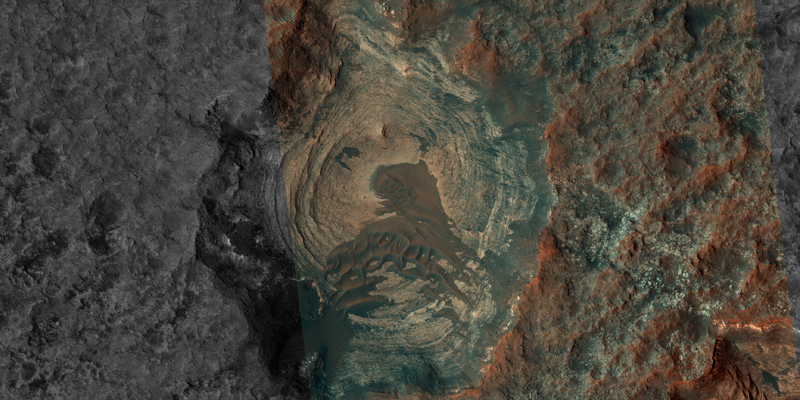 At the image scale of a Context Camera image, the depression appears to expose layers especially on the sides or walls of the depression, which are overlain by dark sands presumably associated with the dark-toned unit. 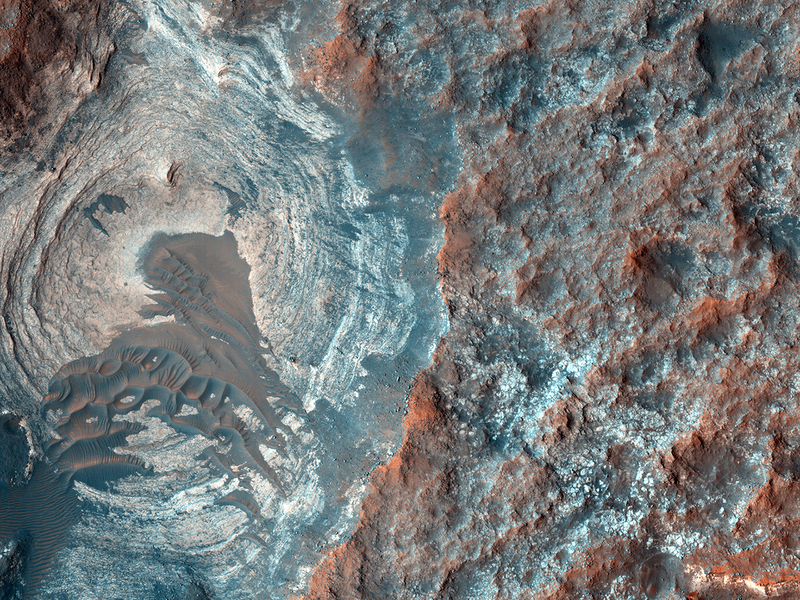 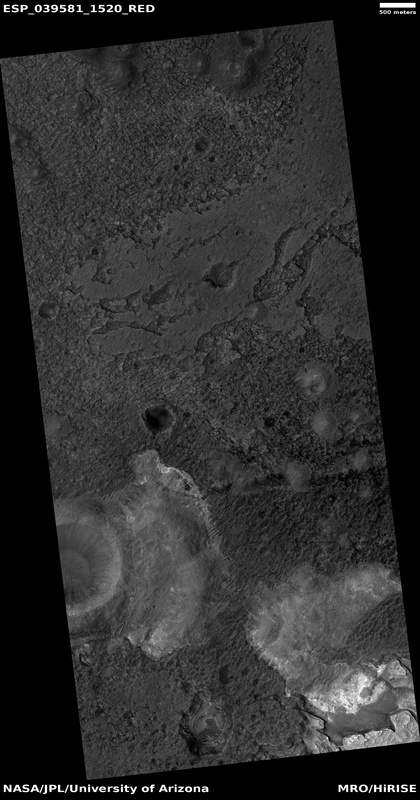 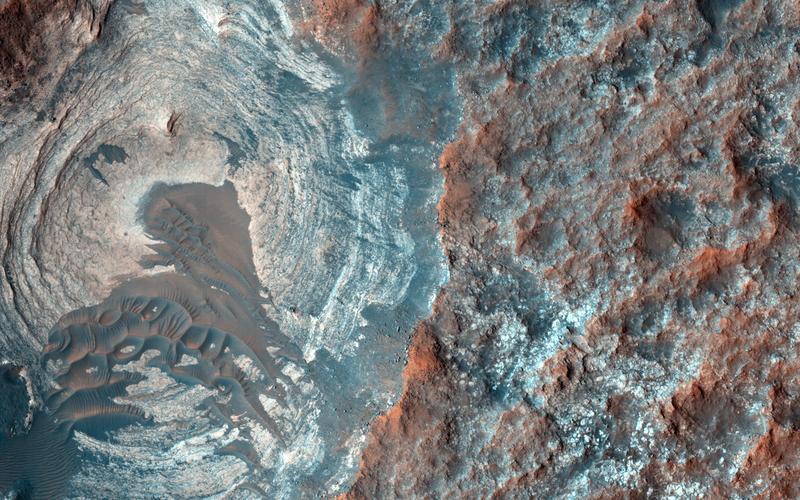 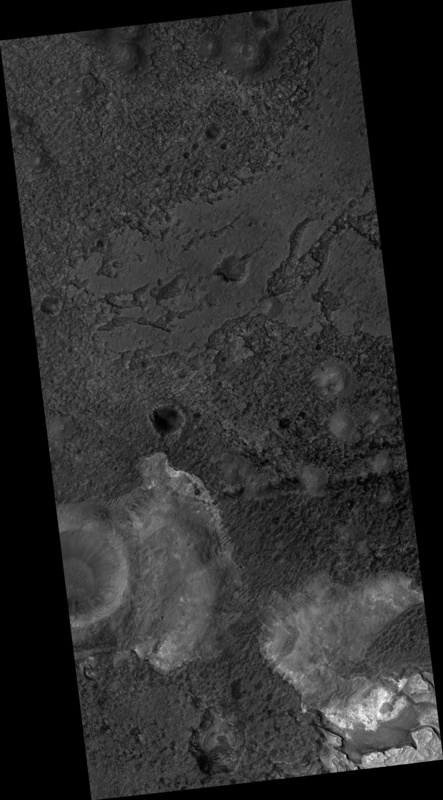 HiRISE resolution, which is far higher than that of the Context Camera and its larger footprint, can help identify possible layers. 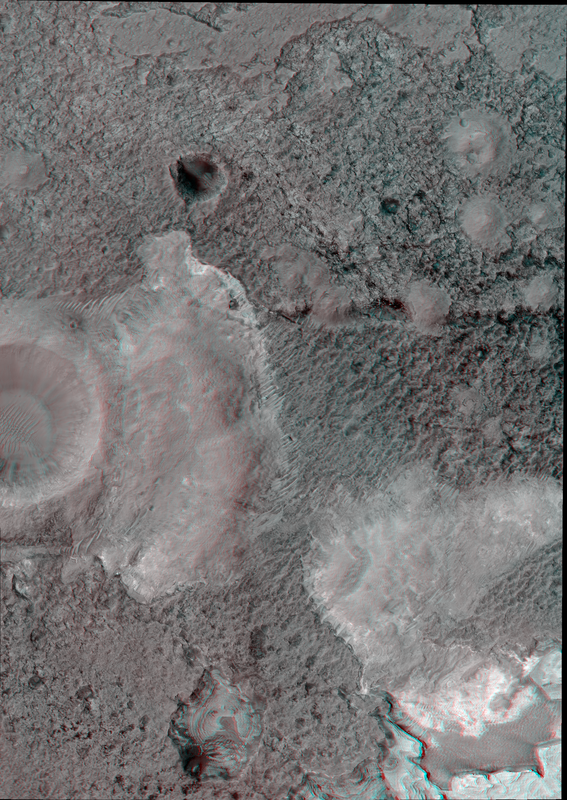 This is a stereo pair with ESP_049009_1520.